Sugar-coated, fruity candy perfection, each generously sized piece of Strawberry Puffs candy is an experience to be treasured! With marshmallowy softness and a seriously spectacular strawberry flavor, these are sure to be a fast favorite that disappears before you know what happened. Trolli Strawberry Puffs can be hard to find in many areas of the country, but you can count on Blair to have a fresh supply at the ready! These peg bags make an ideal size for snacking, including in party favor bags, or tying onto a gift bag for a fun extra present! 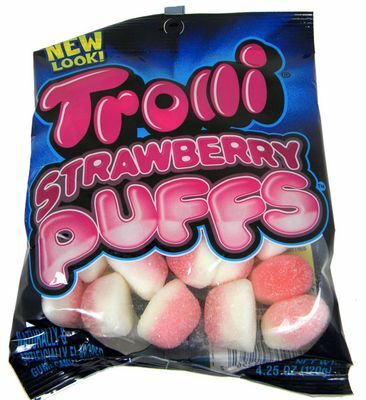 This is my FAVORITE candy and very hard to find. So glad you still have it available.